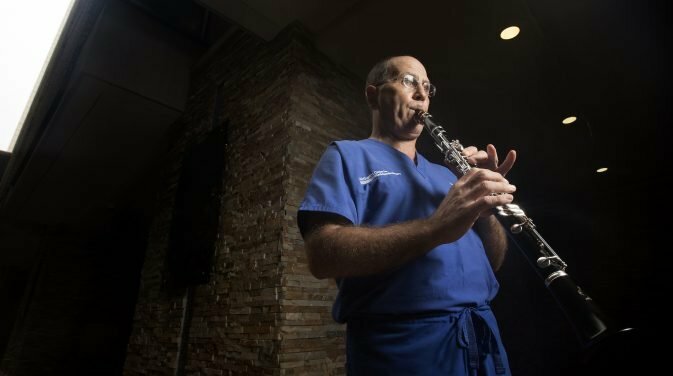 Dr. Incavo is part of the unique group of musician physicians contributing to the healing arts that help sooth patients and their family members as they seek consult and are treated at the Texas Medical Center (TMC). He not only participates in the TMC Doctor’s Jazz group but also has several cds featuring compositions with his clarinet. See performances. Dr. Incavo and fellow researchers shared their latest findings on Technical Obstacles in Total Knee Arthroplasty Learning at the Orthopaedic Research Society (ORS) 2019 annual meeting early February in Austin, Texas. Dr Incavo spoke to colleagues on the topic of Abductor Muscle Tears of the Hip, as an invited speaker at the 2019 Texas Orthopaedic Association’s annual meeting early February in Houston, Texas. The AAHKS Board of Directors approved two new position statements this week that provide opinions on the use of opioids to treat osteoarthritis prior to joint replacement surgery and the use of biologics to treat advanced hip and knee arthritis. You can read all AAHKS position statements here. Inter-surgeon Variability in the Assembly of Modular Head-Neck Tapers in THR was the topic of Dr. Incavo’s invited presentation (a new research project) at the 2018 AAHKS Annual Meeting November 1-4, 2018 in Dallas, Texas. Dr. Incavo’s recent research article, Total Knee Arthroplasty in the Osteoporotic Tibia: A Biomechanical Evaluation of the Role of Stem Extensions and Cementing, was recently published in the Journal of the American Academy of Orthopaedic Surgeons (JAAOS) This biomechanical study evaluated the effect of stem extension on the stability of tibial fixation using different cementing techniques and found that fully cemented primary implants with stem extensions demonstrated decreased micromotion and should be considered for use in osteoporotic total knee arthroplasty patients. - 2018 Oct 23 epub ahead of print, doi: 10.5435/JAAOS-D-17-00736. Dr. Incavo and his colleagues were invited to present their latest research project, The Continuum of Hip Range of Motion: From Soft Tissue to Bony Impingement, at the 2018 meeting of ISHA, the Hip Preservation Society recently held in Melbourne, Australia. Along with colleagues, Dr. Incavo presented his latest research project, Open Tendon Repair into a Bone Trough Improves Outcomes for Hip Abductor Tendon Avulsion at the 2018 Summer Meeting of the Hip Society October 4-6, 2018 in New York, NY. While it may not be well known that Dr. Incavo’s second passion is music, he and many of his physician peers with shared musical interests comprise the Texas Medical Center Orchestra, perform periodically at the Margaret Alkek Williams Crain Garden and the University of St. Thomas. Dr. Incavo, who was also featured late last year in the TMC News, On the Side section. Do Anteroposterior Radiographs Taken in the Lateral Position During Total Hip Arthroplasty Accurately Assess Cup Position? Dr. Incavo’s research study, "Total Intravenous Anesthesia and Short Acting Spinal Anesthetic in Primary Hip and Knee Arthroplasty: Does it Facilitate Early Hospital Discharge?" 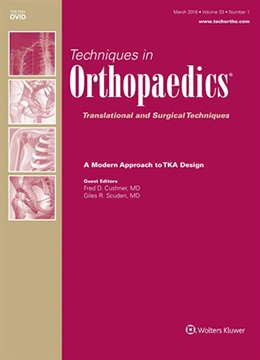 was recently published in the Journal of the American Academy of Orthopaedic Surgeons. The study assessed the effect of total intravenous anesthesia (TIVA) with short-acting spinal anesthesia and aggressive day-of-surgery postoperative day 0 physical therapy (POD#0 PT) on hospital length of stay (LOS) in patients who underwent primary total joint arthroplasty. Recently published in Techniques in Orthopaedics, Dr Incavo's research study, The Medial Stabalized Knee Guides Knee Motion, explores the clinical results and long-term survivorship of medial stabilized implants during primary total knee arthroplasty. H Texas magazine names Dr. Incavo a 2017 H Texas Top Doctor following nominations from patients and peers! 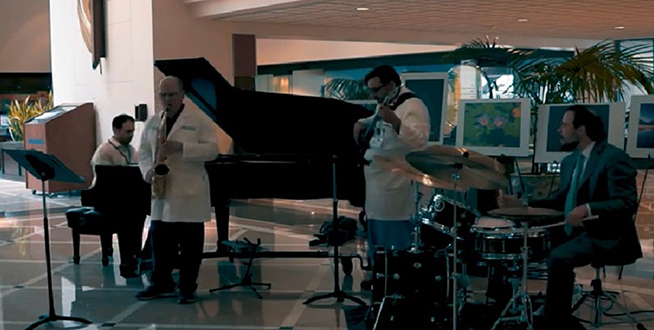 Healing through music is part of the multidisciplinary program of Houston Methodist Hospital. Dr. Incavo is among the extraordinary group of "physician musicians" participating in this effort. Clarinetist and Section Chief of Adult Reconstructive Orthopedic Surgery, he was joined by violist and La Speranza founder Yvonne Smith, along with other members of the Sorrisa Quartet, in a performance of Brahms Clarinet Quintet, Opus 115, in the Crain Garden Thursday, November 30, 2017. Dr. Incavo’s article, “Hypothermia in Total Joint Arthroplasty: A Wake Up Call” was published in the Journal of Arthroplasty. The article is a retrospective review of 204 patients undergoing primary hip and 179 undergoing primary knee replacement surgeries, time and temperature parameters collected from the electronic health records from preoperative and postoperative recovery room nursing assessments, intraoperative anesthesia records, and floor nursing notes. Read more. Dr. Incavo and co-authors were asked to present their newest research project, "Total Knee Arthroplasty in the Osteoporotic Tibia: A Biomechanical Evaluation of the Role of Stem Extensions and Cementing Techniques," at the 2017 Annual Meeting of the American Association of Hip and Knee Surgeons (AAHKS) in Dallas, Texas, November 1-4, 2017. .
Dr. Incavo and colleagues publish What’s New in Hip Replacement – 2017 in the Journal of Bone and Joint Surgery. The article is part of a Specialty Update developed in collaboration with the Board of Specialty Societies (BOS) of the American Academy of Orthopaedic Surgeons and highlights the trends in hip replacement surgery and recovery following the review of over 600 peer-reviewed studies on the topic of hip replacement. Read more. Dr. Incavo presents results from one of his latest studies, “Effect of Tibial Slope and Rotational Mismatch of the Tibial Cutting Guide on Coronal Plan Alignment in Total Knee Arthroplasty,” at the annual meeting of the Knee Society in New Albany, Ohio, September 14-16, 2017. . Custom total femoral spacers are useful in the management of infected femoral megaprostheses and cases with ipsilateral injected hip and knee arthroplasties and severe femoral bone loss. Dr. Incavo’s recently published article, Antibiotic Impregnated Total Femur Spacers: A Technical Tip, in Arthroplasty Today reports on the outcome of a surgical technique used in two cases. Read more. Dr. Incavo and fellow orthopedic surgeons were recently interviewed by Prevention magazine on the four best exercises following knee replacement surgery. Read more. Dr. Incavo’s recently published article in Arthroplasty Today, External Fixator Immobilization after Extensor Mechanism Reconstruction in Total Knee Arthroplasty, discusses active range of motion after extensor mechanism reconstruction and external fixation. See one patient’s range of motion (10°-100° with a 10° flexion contracture and no extensor lag). Read more. The publication, Orthopedics Today, features a Perspective from Dr. Incavo on the recently published article, Serum D-dimer Seen as Ineffective for Diagnosing DVT after TJA, which was published in the Journal of Arthroplasty. Read more. A physician and musician, Dr. Incavo releases his second cd – Colorful Clarinet Duets! Preview some of his latest pieces. Dr. Incavo and coauthors publish, Range of Motion after Dual Mobility Total Hip Arthroplasty: Femoral Head Size and Surgical Approach – Does it Matter? 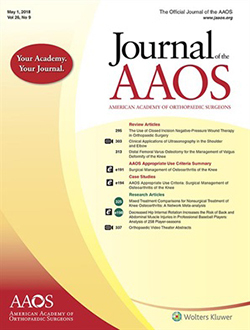 The newly published article appears in the Texas Orthopaedic Journal online ahead of print and evaluates the effect of DM-THA on active hip range of motion (ROM), compares functional scores with large femoral head THA, and assesses the effect of a posterolateral approach versus a modified Hardinge anterolateral approach on postoperative hip ROM. Read more.
.) March 20, 2017 – Dr. Incavo and colleagues publish their research study, Corrosion and Adverse Local Tissue Reaction after Total Hip Arthroplasty with a Modular Titanium Allow Femoral Neck, in Arthroplasty Today. The study describes a case of mechanically assisted crevice corrosion and secondary adverse local tissue reaction in a patient following a total hip arthroplasty utilizing a modular neck (bi-modular) femoral component. Read more. Dr. Incavo attended the 2017 Annual Meeting of the American Academy of Orthopaedic Surgeons (AAOS) held in San Diego March 16 – 18, to share with colleagues the latest research findings and innovative advances in orthopaedic surgery. He was invited to speak on “Gap Balancing in Total Knee Arthroplasty” at the Hot Topics in Total Knee Arthroplasty (TKA) Symposium and “Extra-articular Deformity in TKA” at the Specialty Day for the Knee Society and the American Association of Hip and Knee Surgeons (AAHKS). The American Academy of Orthopaedic Surgeons (AAOS) Committee Appointment Program (CAP) has selected Dr. Incavo as Chair of the Hip and Knee Content Committee, serving on the Academy’s Council on Education effective March 2017. Dr. Incavo’s research study describing a series of four patients who underwent extensor mechanism reconstruction followed by external fixator application to maintain the knee extended in the initial postoperative period, entitled “External Fixator Immobilization after Extensor Mechanism Reconstruction in Total Knee Arthroplasty,” was recently published in Arthroplasty Today. Read full article. The Knee publishes in its December issue the latest research findings of Dr. Incavo and his colleagues, an article entitled “Stemmed Tibial Revision Component Alignment: Does an Anatomic Conflict Exist?” The research focused on the importance of obtaining satisfactory coronal plane alignment for success in revision total knee arthroplasty (TKA). The authors determined tibial coronal plan alignment after TKA when a tibial stem was used and assessed if there was an anatomic conflict in tibial stemmed component alignment. Read abstract. Dr. Incavo’s article, “The Goals and Challenges of Identifying Asymptomatic Pseudotumours in Total Hip Arthroplasty Patients: Perspectives on ‘Symptomatic Pseudotumours’ in Patients with Taper Corrosion of Dual-Taper Modular Femoral Stems: MARS-MRI and Metal Ion Study,” was recently published in the Journal of Bone & Joint Surgery. Read abstract. Dr. Incavo co-authors a new book chapter, “Imaging of the Hip and Knee for Primary and Revision Arthroplasty,” for Orthopaedic Knowledge Update Hip and Knee Reconstruction 5, (The Hip Society, The Knee Society). 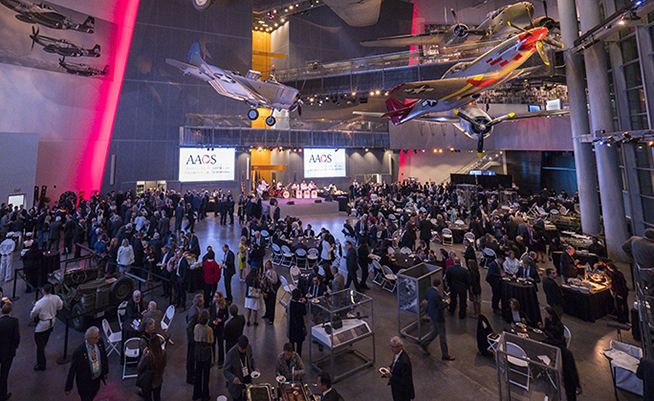 AAOS, Rosemont, IL. Dr. Incavo’s recent article on the changes in hip replacement surgery, “What’s New in Hip Replacement,” was recently published in the Journal of Bone & Joint Surgery, Specialty Update. The article explores some of the new information which further solidifies practices, such as the use of tranexamic acid for blood conservation and the detection of infection through alpha defensins. The in-depth article assesses studies that have enhanced knowledge of surgical approaches and the modes of failure of implants and underscores that the biggest changes have not been in surgical materials or techniques but in how surgeons will practice in the future with respect to outcomes. Read more. Dr. Incavo and his colleagues publish their latest research findings in The American Journal of Orthopedics – “Does Accelerated Physical Therapy Rehabilitation Following Elective Primary Hip and Knee Arthroplasty Facilitate Early Discharge?” The study compared two groups of patients, who underwent elective unilateral total hip arthroplasty (THA) or total knee arthroplasty (TKA) — those who started physical therapy (PT) the same day (Day 0) and those who started PT the next day (Non-Day 0). Read more. A new research study launched by Dr. Incavo and his colleagues, “A Wake Up Call: An Evaluation of Perioperative Hypothermia in Primary Total Hip and Knee Arthroplasty,” was accepted and presented at the 2016 Summer Meeting of the Knee Society in Paris, France. Dr. Incavo’s research study, “High Revision Rate of the Rejuvenate Modular Neck Femoral Stem at 3 – 5 Years Follow-up,” was accepted and presented at the 37th SICOT Orthopaedic World Congress in Rome, Italy early September.